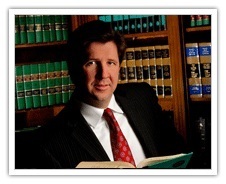 Published on: May 27, 2014 | J. Bradley Smith, Esq. 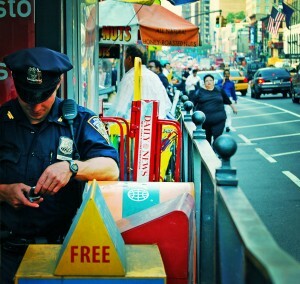 Of course police want everything off your phone. They want to take it, analyze it, and try to use it to prove you committed a crime. In their eyes, your phone is like anything else. Anything you say and do – text, email, connect with old friends on social networking sites – can and will be used against you. In a June 25, 2014 unanimous decision (and I don’t mean your menu choice for lunch from Moe’s Southwest Grill), the nine justices of the United Supreme Court ruled that police have to get a warrant before they can troll through the contents of your phone. The case – Riley v. California – began when an officer pulled David Riley over for driving in a car with an expired tag. Things went downhill fast for Riley when the officer learned his license had been suspended and he found two handguns in Riley’s car. The officer took Riley’s smartphone and searched through the portion of his contacts titled “Crip Killers.” Photos and videos on the phone showed Riley was a member of the Bloods gang and had participated in a shooting weeks before his arrest, officers alleged. After a trial, Riley was convicted and sentenced to 15-years-to-life in prison. He appealed, arguing that the Fourth Amendment to the United States Constitution required officers to get a warrant before searching the contents of his smartphone. Some powerful sources lined up against Riley, including the Obama administration, which argued that police have always had free reign to search people’s “letters, diaries, briefcases and purses,” so they should be able to troll through people’s cell phones. At its essence, Riley v. California brought the slow-motion collision between ever-advancing technology and always-struggling-to-keep-up legal doctrines to the fore. The Obama administration, the State of California and law enforcement in general argued that trolling through someone’s cell phone wasn’t any different from patting down someone down and finding drugs in a cigarette package, as occurred in a famous 1973 case. The privacy interests people have in their phones, therefore, “dwarf those in Robinson,” the Court wrote. The bottom line, from the high Court: If the cops want to search through your phone, generally speaking, they need a warrant. Why generally speaking? Because there are exceptions, and they are somewhat obvious. If a bad guy is in the middle of texting an accomplice who is about to detonate a bomb, an officer can seize the phone and try to stop the bomb from detonating. This is known as the “exigent circumstances” exception. So for now, unless you are up to some serious no good, your phone is safe.